No Space Stuff. So What Am I Doing? So far this year, I’ve scripted Storming Amargosa (but not written the actual novel) and turned the proposed novella Quantonesia into The Amortals. So what now? Am I diving into the next Gathering Storm Arc novella for the Compact Universe? See, the novel Holland Bay, the 87th-Precinct-meets-The Wire novel I’ve talked about ad nauseum still sits on an editor’s desk in New York. Quarterly acquisition meetings are coming up, and I need to have a follow-up ready if the trigger gets pulled. So I’m back to writing an “episode” of the next book in the series. Because it will always be a series. Well, here’s the thing. Failure is easy. 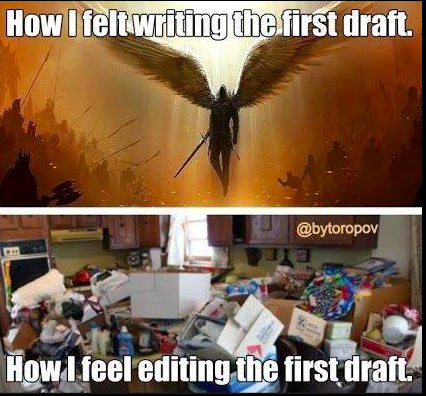 Once a manuscript is out of your hands, it requires no effort on your part whatsoever. Success, on the other hand, takes a little work to sustain. In this case, it means not having to bang out a follow-up within a year of the first novel selling. I’d rather do revisions and work on Book 3 slowly and carefully. I have three more novellas planned this year, one of which I plan to write long hand. I’ll be on my honeymoon when that one is in progress, and my new bride would probably not appreciate me tapping away at a computer all week. There will be drinking, beaching, and martial stuff to do! Plus, I haven’t written a story longhand in a very long time, so I decided to challenge myself. The trick will be getting it all in by the end of the year. Gotta love arbitrary deadlines.